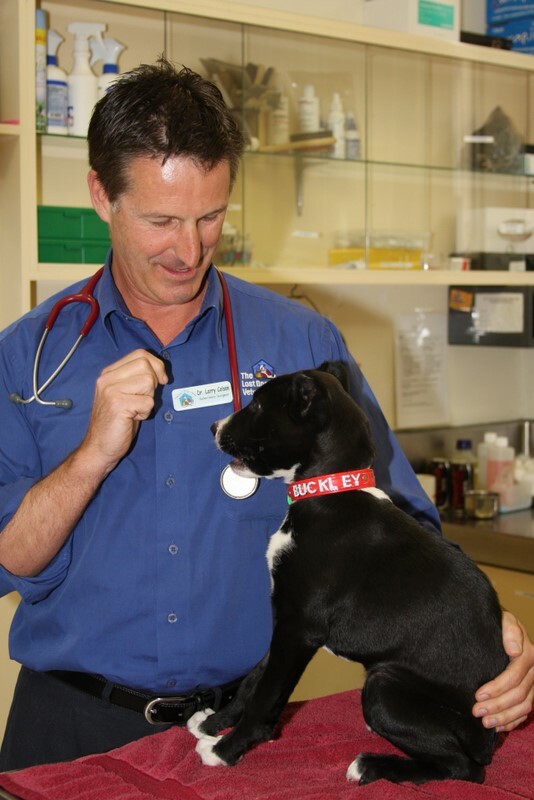 Buckley and along with key staff from The Lost Dogs’ Home were featured on Channel Ten’s 7pm Project in a special story about the work the Home does in rescuing and rehabilitating unwanted and abused animals like Buckley. Buckley and along with key staff from The Lost Dogs’ Home were featured on Channel Ten’s 7pm Project in a special story about the work the Home does in rescuing and rehabilitating unwanted and abused animals like Buckley. The Home’s General Manager, Sue Conroy, was interviewed by animal lover and Lost Dogs’ Home adopter Myf Warhurst about our important work over the Christmas period. At this time of year, thousands of pets are neglected, dumped or forgotten about as their owners get caught up in celebrations of the season. Many dogs and cats end up at shelters like The Lost Dogs’ Home where they wait for their owners to collect them. Some are never collected. If animals are not reclaimed, they undergo a temperament, behavioural and health assessment before they are put up for adoption. The Lost Dogs’ Home helps thousands of unwanted animals find new homes every year. There are many ways you can help The Lost Dogs’ Home care for animals in need this Christmas. You can donate pet food, blankets and collars, hold a fundraiser or tell your friends to adopt from a shelter rather than purchase from a pet shop. Follow this link to see how you can help dogs and cats in our care this Christmas. Lost Dogs’ Home staff would like to remind potential pet owners that a pet is for life… not just for Christmas. Dogs and cats are a 10 to 18 year commitment.